It has only been a week and a half since the Olympics launched on our TV screens. And what a week and a half it has been. The DataSpace HQ is usually a pretty busy place with a lot going on, but this past week and a half there has been even more of a buzz. The Olympics has brought a great deal of pride to everyone, not only due to London being the host but the outstanding success of Team GB. There have been so many highlights we are not even sure which ones to focus on. From Sir Chris Hoy winning his 6th gold medal, pushing Sir Steve Redgrave out of pole position, to Bradley Wiggins, Jessica Ennis, Katherine Grainger, the list goes on. 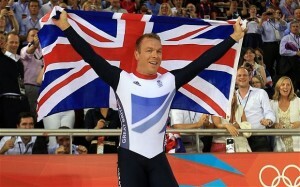 Whether you are a fan of the rowing, swimming, athletics, show jumping or even archery, Team GB have excelled. And there is more to come. What it has highlighted for us is standards. Here at DataSpace we feel that gold standards is something that everyone should aim to achieve. The outstanding performance of our British athletes has really shown that when you strive for greatness you really can achieve it. Our data storage facilities really are the gold package for anyone with data, files or anything that they wish to store. Whether you run a doctor’s surgery, a small business or even a hospital, storing and protecting your data is essential. Bronze and silver standards simply won’t do. That is why our 24/7 data storage facility has everything you would expect from a gold standard company. So, whatever you want to store, from X-rays to Lloyd George envelopes to staff records and large scale plan diagrams, we have the gold facility for you. Why not contact us today to find out more about our Olympic standard archive storage?